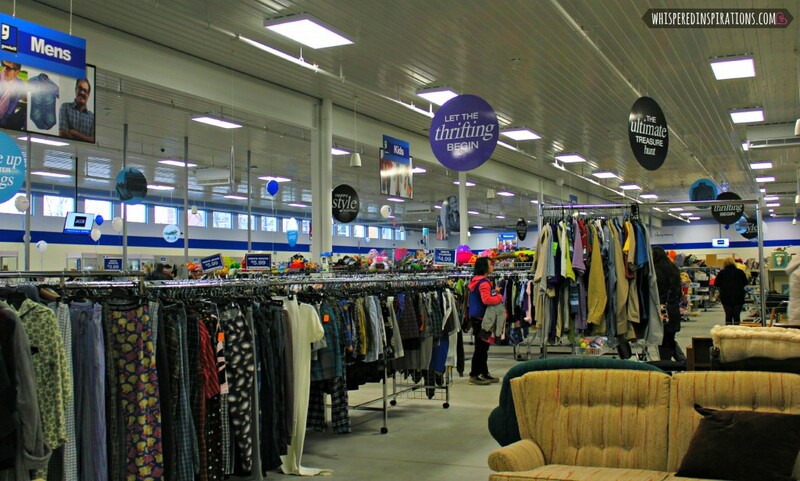 The Goodwill Donation Centre in Windsor! During the holiday season, we are often compelled to give back to our community. Though we try to contribute year-round, the holidays are the perfect time to give to those who are need. It’s especially important to help within our community to not only be able to provide affordable basic necessities but, to an organization that provides jobs. 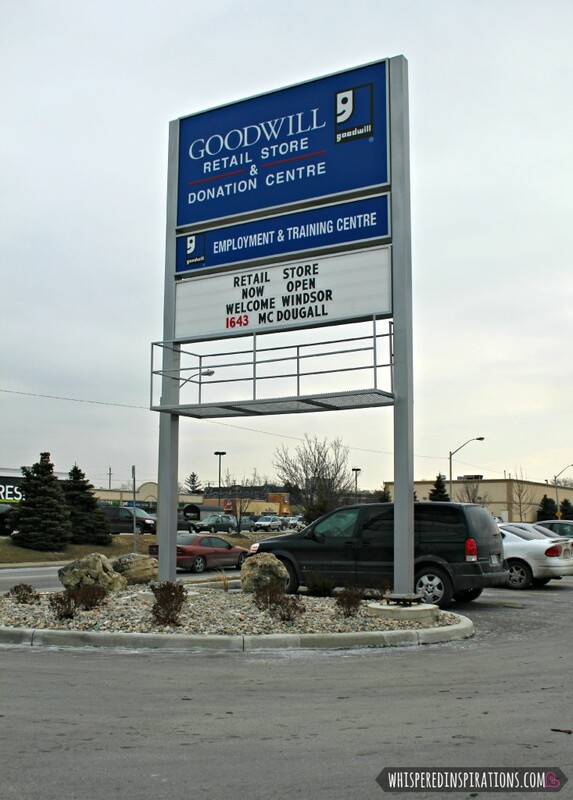 There are 4 locations in Windsor but, Goodwill just opened a brand-new 35, 000 sqft. facility at 1643 McDougall Ave. where you can drop by with any donations. Not to mention, Windsorites, it’s a great place to shop to re-love items–it’s green! Why pay full price when you can find books, furniture, home products, and brand name fashions for well below retail prices at Goodwill? You’ll never know what you will find in-store and it’s always a bargain. 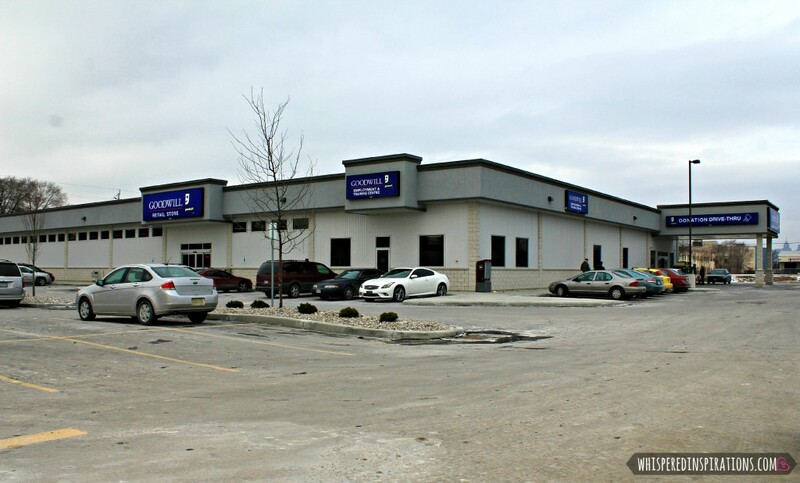 Goodwill Industries – Essex Kent Lambton is all about people. We’re committed to making a real difference in people’s lives, their families’ lives and the communities they live in. We believe in the power of dignity that is earned with a pay cheque, and our employment programs and services help people with employment barriers gain confidence, skills and independence. We were very excited to pack up a donation to take to Goodwill EKL’s newest Windsor store, located at 1643 McDougall St.
We wanted to bring in some of the centre’s most needed items like clothing, household items, electronics, household apparel, and winter gear. The girls are currently raiding their toy boxes to bring over on our second round. Mimi was our little donating buddy and as you can see, she was very excited to bring over a load of things! We were very happy to bring over warm sheets, blankets, pillowcases, clothes and more! We explained to her the reason why we were donating and although she may not understand it fully, she was happy to help. You simply drive up to the building and a courteous Goodwill employee will come out and take your donations and bring them inside for you. We drove up and right away had someone come up to us, greet us and take our packages. The donation process is very organized. 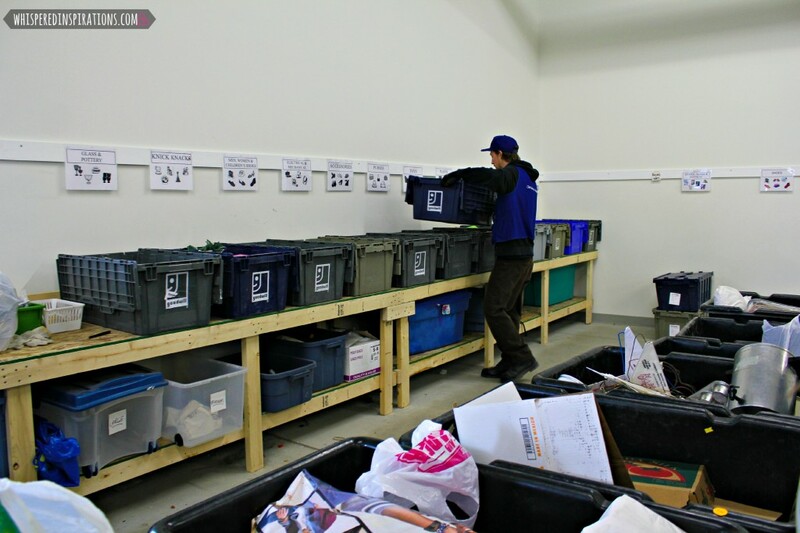 You drop off your donation, it is then taken and sorted into different categories. Next, it is taken into the warehouse and sorted again. 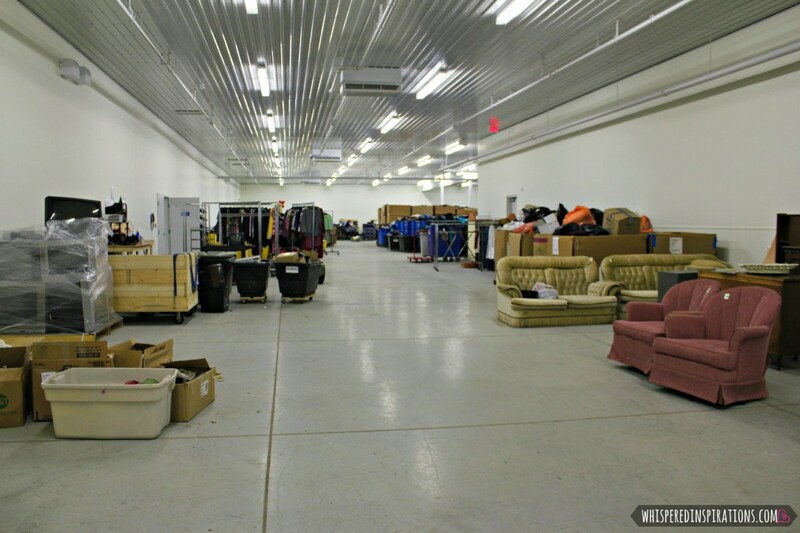 Did you know that Goodwill will accept just about anything that is gently used? In an exception to anything that may be a safety hazard, for obvious reasons. You can rest assured that everything is in good working order when it is sold. Check out the donation cycle above, you can see exactly how the entire process works and how it helps you and our community in Windsor. Goodwill’s mission is to change lives through the power of work. When you donate, someone works and together we can change lives of individuals and families right here in Windsor. I had the opportunity to go inside and check out the entire process and talk to a couple Goodwill’s employees. It was refreshing to hear that one employee, in particular, had worked as a teacher abroad for about 15 years and for personal reasons, he had to return to Windsor. He was very grateful that Goodwill gave him a job and he was very proud of Goodwill’s contribution to our city. This seems to be a trend within the workforce at Goodwill, with jobs sparse in Windsor, having a job is something that is truly a blessing and many employees are relieved that Goodwill took a chance on them. 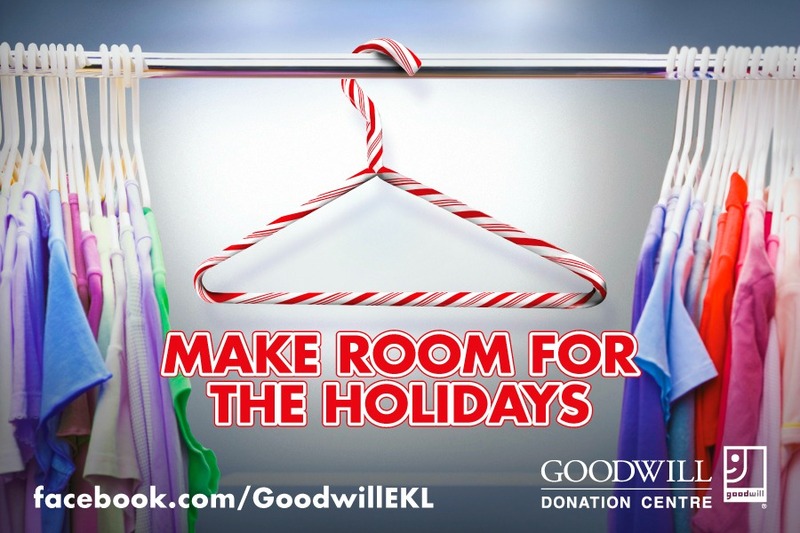 Goodwill would like to invite you to clean out your closets, toy boxes and home to make room for the extras the holidays bring. 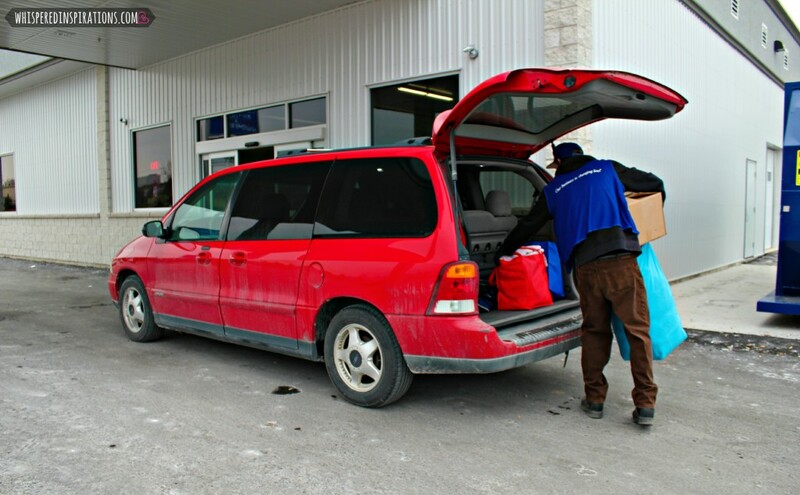 Simply donate your gently used items at one of our four convenient Windsor attended donation centres. You can always head over and “like” Goodwill EKL on Facebook. There you will find the latest promotions and most needed items at any of the 4 locations in Windsor, ON. How Does Goodwill Do It? By operating stores that provide jobs and training within the retail environment; by channeling eighty-five percent of their revenues into job creation and placement programs; and by ensuring they operate ethically and responsibly. And it all starts when someone like you drives up to a donation centre. They invite you now to learn more about Goodwill Industries – Essex Kent Lambton. Find out how we can all help change lives, one person at a time. 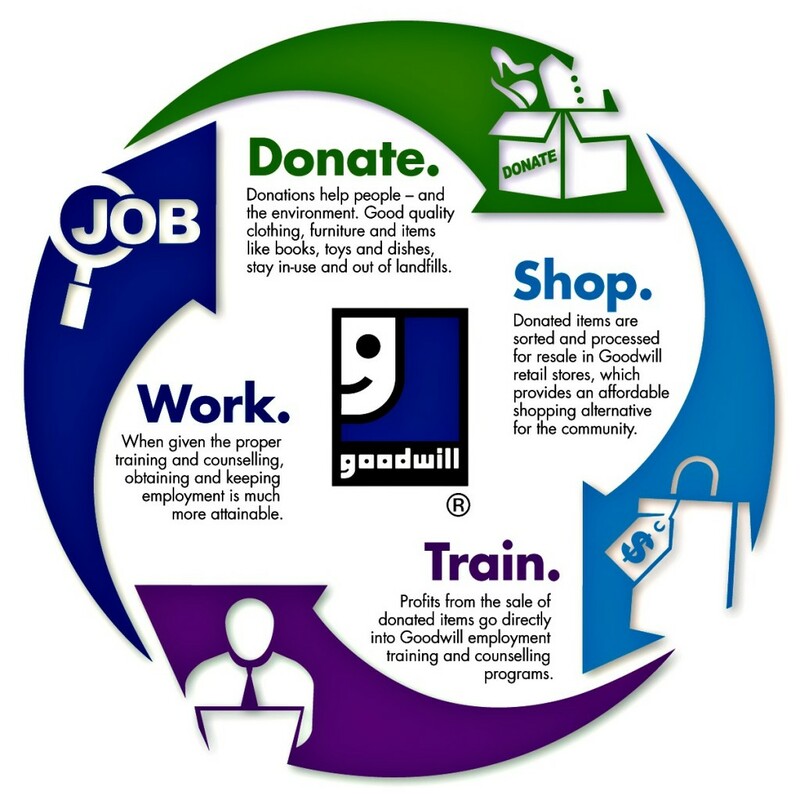 For more information about Goodwill, you can visit http://goodwillekl.com and you can see why it’s a great organization to support. 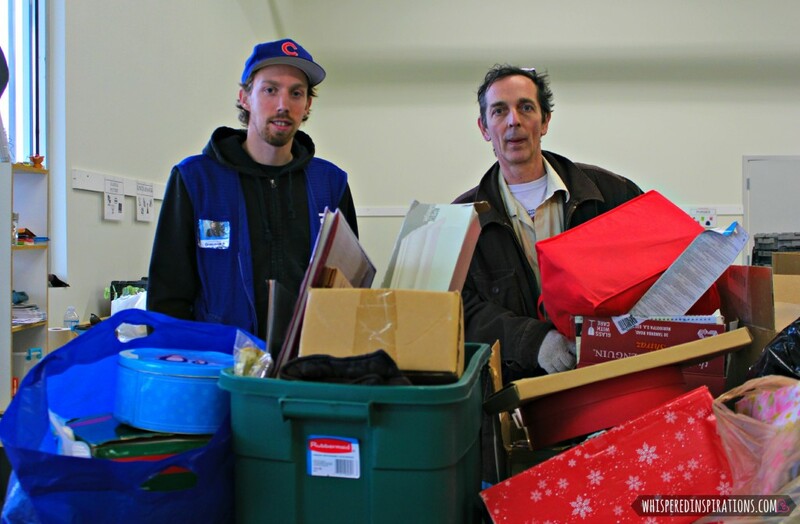 Will you stop by your local Goodwill to make a donation this year? Previous Post: « Give Where You Live: @TELUS is Helping Preserve Canada’s Animals & Habitats. Every Post and Share w/ #HomeTweetHome, TELUS Will Give $1 to WWF! Great idea!!! We always donate all our outgrown clothes to goodwill. Yes, it sure is. 🙂 We often have so many things that we buy and just forget about. My rule is if you haven\’t used it in 6 months and you\’re fine, odds are that you don\’t need it. Awww, that\’s amazing! Definitely part of the cycle! 🙂 Yeah, we just give it all away too. What a great idea…I used to do closet clean outs every so often and donate…haven't had time yet this year. We do too! The good thing is you can any time of the year! Just during this season, they are in need for clothes, winter gear and blankets! Oh man, I have donated SO much to the Goodwill, especially since having kids. I plan on making a trip this week with lots of clothes and toys. I like the front of the house too — great place to pick up photo props for recipe posts!! Oooooh! What a great idea! I\’m gonna check it out for props. And that is amazing that you have donated so much.We are doing Round 2 soon. we are regular donators too.I can't stand having 'extra stuff' around the house! lol This new store looks amazing, I love that drive thru drop off! It's too bad there isn't a Goodwill here in Northern BC. I just went through my closet and I have a lot of donations, I have given it the local group here but I really like what Goodwill stands behind. They're a great company. Aww, that\’s too bad. But, it\’s great that you give to your community as well. I love what Goodwill stands behind too. Although Windsor is a bit far of me, LOL, we too donate many things both at Christmas and year round. We actually had four bags of various items picked up just this past weekend! Merry Christmas! I think any type of donating and giving back to our communities is great! I\’m just hoping to spread awareness to give back and it just so happens that a new store just opened in my home town of Windsor. 🙂 We just did one round and we are hoping to do one more round of toys. Merry Christmas to you too! It`s great to know just how it all works. We often donate to The GoodWill but I can`t say I ever knew exactly how it all worked. Thanks for sharing this! I hear that a lot! It\’s my pleasure. 🙂 I love seeing the cycle. Makes more sense, huh? It gives me such a warm feeling donating things we no longer need. I love how Goodwill works, they really know how to help the community! I always gather up our gently used, unwanted clothing for donating throughout the year — it makes so much sense to pass it on to someone else, rather than throw it out.